War in Mali: France in Africa – Fifth Republic or Third Empire? Paris has its own history of meddling into affairs of former French West African colonies, Cote D’Ivoire, for instance. The black continent (Libya, Mali) interventions have increased in scale and have become more frequent. It has given a rise to talks about the revival of French colonial policy. Being a leading force at the time of Libyan intervention, Paris moved East with a goal to expand its traditional clout in North Africa. It has not even taken into account the interests of its close NATO ally – Italy. Berlusconi put it straight saying the goal of France was the control over Libyan hydrocarbons and squeezing away all other competitors. Actually France has refused the course that had been promulgated not so long before calling for comprehensive EU policies to facilitate the regional stabilization and development. The concept of Euro – Mediterranean partnership with Italy and Spain has gradually been fading away from foreign policy priorities list. The situation is rapidly changing, and the impression is that the French elite has decided its hour of triumph is here at hand, the time has come to rejoin the big league of world powers. There is a great temptation to get back from the Fifth Republic to the Third Empire. The France-established post-colonial order creates some ground for such vision. In the 1960s metropolitan France concluded agreements with some former colonies making 14 African states stay in the French franc zone established in 1946. It closely tied their economies to France, even after joining the Eurozone later. Besides, according to the agreements in question France has a right to intervene militarily to maintain and restore internal stability and provide for security of Europeans living in Senegal, the Central African Republic, Chad, Cote D’Ivoire, Gabon and Cameroon. NATO and the European Union’s assistance is welcome, but to some limited extent. The African presence policy is supported inside France by the right wing, as well as left-wing forces. 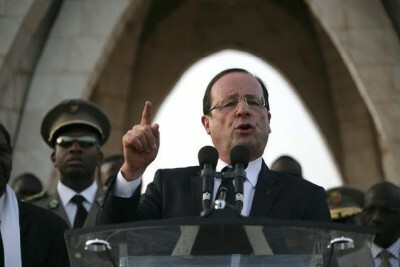 President Hollande’s readiness to restore order in Mali testifies to the fact. The triumphal visit of François I to the Timbuktu, the city that has become famous, crowned the victory in Mali. During the insurgency, the Tuaregs declared the city of Timbuktu the capital of the Independent State Azawad on April 6 2012. The dancers in the state of exaltation and drummers surrounded the French President. He was visibly touched and exited to hear the chanting that Napoleon, the founder of the First Empire, liked so much: «Vive la France!» Of course, Hollande was too busy to pay attention on insignificant details, for instance the fact that he was greeted only by black Africans. The Tuaregs, who made up the majority of the city dwellers, stood home or ran away. Timbuktu was founded by Tuaregs in around 1100; it’s an important trade, intellectual and spiritual center of Muslim world. A 15th century Malian proverb proclaims: “Salt comes from the north, gold from the south, but the word of God and the treasures of wisdom are only to be found in Timbuktu”.There are a few big madrasahs and three mosques that are believed to be the oldest in West Africa. It has been known to be a fabulously rich city since the middle ages. Wattle and daub houses in the heart of the city were proclaimed as world heritage guarded by UNESCO since 1989. The city had been home to unique middle age manuscripts that someone burnt during the combat actions. Of course, the French accused the Muslim fundamentalists, the barbarians. Still, let me note, no one had touched the manuscripts till the civilized «defenders of culture» appeared. Of course, the official Paris and sympathizing intellectuals flatly refuse the idea that any self-interest or geopolitical calculations are involved. During a news conference on February 12, Hollande said: “I remind you that France in this operation is not pursuing any special interest other than securing a friendly nation – and has no other objective.” Bernard-Henri Lévy, a French public intellectual and author, sang hosanna to the new policy of French government saying, «I do not intend this comparison to diminish in any way the credit due to Hollande, whose every word in Timbuktu and Bamako was right on target (shame on the narrow-minded souls who, hearing the French president praise the role of the African army during the Second World War and framing the current intervention not as a gift or as a favor but as a debt repaid to the Malian people, could not stop repeating, like broken records, «Françafrique! France à fric!», a reference (because fric is slang for money) to the self-interested aspects of France’s cultivation of its former African colonies». According to him, «France is taking on not only the moral but also the operational leadership of a just war, sending its best soldiers to stand in for the missing Blue Helmets of the United Nations. It is a strange but undeniable fact that France, with its limited means, its high unemployment, its foreign trade deficit, its habit of coming uncoupled from the train of globalization, is playing the role that one might have expected of the powerful United States. France is setting the geopolitical tone, a function normally preempted by the «official» great powers: the United States, Russia, and China. It is heading up, in other words, another form of globalization, a virtuous, generous variant: the globalization of democracy and peace. It could well become the world’s leading exporter of rights or, if you will, the world’s leading anti-totalitarian power. The world does not know what to think». 1 Let’s note the altruism really makes one wonder what to think, if it were not for other views that say that there is still some interest pursued here. It’s well known the French got hold of many promising oil and gas production contracts in Libya, sometimes at the expense of their Italian allies. Mali appears to be a really poor country. Not exactly so. It’s the third African gold producer after Ghana and South Africa. The yearly gold production is 52 tons. According to experts, it can be increased to 100 tons in two-three years (for comparison, Russia produces annually around 200 tons). Mali is rich in uranium. French Areva, a world nuclear energy leader, has already started to explore Saraya situated at the Senegalese border. On November 15 2012 it signed a feasibility study deal with South African DRA Group focusing on uranium, silver and copper production. According to estimates, the deposits contain around 12 thousand tons of uranium, four times more than the Areva mine in Niger produced in 2012. Under the circumstances the French energy companies shy away from discussing their activities in the region. One of energy companies officials said, «The more we talk about it, the more we risk the lives of employees». 2 No thorough exploration has taken place in Mali so far, but the country borders many oil and gas rich areas of the adjacent states, so there is a good reason to guess it boasts energy resources. The moral justification of military intervention in Mali holds no water. The reports say the French troops are involved in lootings and ethnocide. If someone has relatively white skin and doesn’t wear French military uniform, than he (she) is either a Tuaregs or an Arab – an enemy. It took little time for the Tuaregs and Arabs living in the North to see the French military presence offered no protection against violence. Dozens of thousands of ethnic minorities started to leave for neighboring countries. A few words about the best soldiers that according to Bernard Henry Levi «defend the just cause». So far the French Foreign Legion has played a leading part in recent French interventions abroad. It’s a kind of contemporary janissary corps. The Eastern Europe recruiting, including the Commonwealth of Independent States, has substantially increased in recent years. Perhaps that’s why the legionaries are used like cannon fodder to serve the new «democratic emperors» aspiring for greater victories; they may be the best, but not our best. Looks like the Foreign Legion is in great demand now. The «defeated» Tuaregs and Islamists have vanished in the Sahara sands threatening to return to «saint Timbuktu» once the French withdraw. 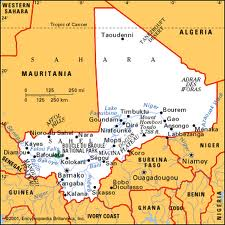 The Sahel region is gradually plunging into the quagmire of instability. Jean-Yves Le Drian, the French Defence Minister, said on January 31, that «France had no intention of remaining in Mali», but there would be no pull out as yet. The building of Third Empire may happen to be a much time and effort consuming process. The West is frustrated by some results of globalization, for instance, the growing potential of the East. It may be looking for ways to compensate for the losses using more traditional methods, in the spirit of post-modernism, so to say. Is the French African policy a part of the process? In this case to what extent is Paris independent and to what degree its actions are influenced by general policy lines of Western allies? The Washington’s stance is the answer. At the beginning of February Vice-President Joe Biden met French President François Hollande. He said the fates and interests of the two countries are intertwined. According to the Vice – President the United States and France see eye to eye on all a «global agenda» of contemporary issues: from Afghanistan to Libya, from Iran to Mali, from globalization to climate change. The USA supports the Mali operation, including intelligence data, air transport and air replenishment. President Hollande welcomed the support. 3 I remember the tenure of Bush Jr., when Paris, Moscow and Berlin refused to support the Iraqi operation. The US painted France as almost an enemy. They used to say in Washington, «Punish France, Ignore Germany, Forgive Russia».